When Elizabeth “Libba” Stribling launched her eponymous brokerage in 1980, listings were still captured on index cards. The concept of co-brokerage barely existed, and small mom-and-pop firms dotted the city. But a wave of brokerage consolidation — fueled by a shift in power to national listing aggregators and tech-focused firms — caught up this week with the Manhattan brokerage, which announced a deal to be acquired by Compass. Over the next few weeks, the SoftBank-backed firm will absorb Stribling’s agents and managers, who represent an increasingly dying breed of independent brokers. Over the past decade, smaller firms like Mercedes/Berk, Edward Lee Cave, Key-Ventures and others have been absorbed by larger counterparts — names like Engels & Volkers, Brown Harris Stevens and Berkshire Hathaway HomeServices (which some have said looked at Stribling, too). Last year, citing the financial burden of competing in high-split environment, Town Residential abruptly shuttered its doors. 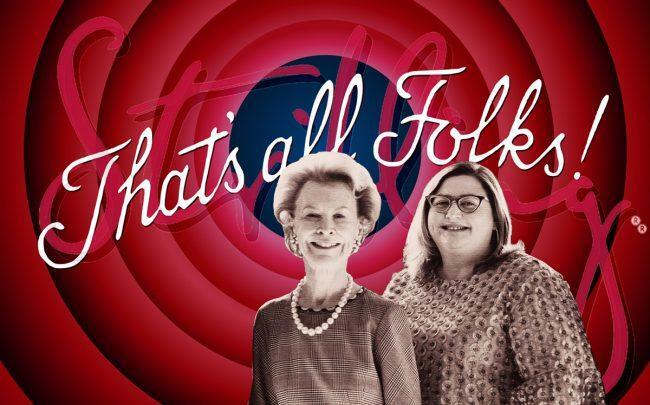 With Compass’ acquisition of Stribling — its first on its home turf of New York City — the $4.4 billion company is closing in on the two dominant players here, Douglas Elliman and the Corcoran Group, which are in the midst of their own national expansions. Both on the national level and locally, there are seismic shifts taking place in the brokerage industry. In a brief phone interview, Elizabeth Ann Stribling-Kivlan acknowledged the pressures facing all residential brokerage firms, big and small. She called out listing portals as one of the biggest threats and drivers of the deal with Compass. Traditional firms are going head-to-head with listing portals, iBuying platforms, virtual brokerages and technology that looks to circumvent the real estate agent. Meanwhile, brokerage consolidation has left a shrinking slice of market share for smaller firms, who’ve been most vulnerable in a fast-changing, competitive market. For Compass, the acquisition has plenty of upside. With 270 agents in Manhattan, Stribling closed $1.62 billion in sell-side deals last year in the borough, according to The Real Deal’s annual ranking of top residential firms. It had mastered the art of co-op brokerage by specializing in providing white-glove service to well-heeled clients. Given its size, it also had a robust new development marketing division — where Compass has struggled to gain traction. Assuming they don’t walk, Stribling’s star new development agents include Alexa Lambert (who closed $256.5 million in deals, according to TRD’s 2018 top agent ranking) and Pamela D’Arc (who closed $230.3 million). D’Arc has been heading up sales at World Wide Group and Rose Associate’s 252 East 57th Street, a Billionaire’s Row tower with a sellout of $648 million. “Everyone is trying to find ways to increase market share; it allows them to increase volume,” said Jacqueline Urgo, president of the Marketing Directors, which does consulting and marketing for new development projects. To many observers, Compass and Stribling are strange bedfellows. Compass bills itself as an innovative tech firm upending the status quo, while Stribling portrays a genteel image with a stable of loyal agents who’ve been with the firm for decades. It also has a special division for luxury properties above $5 million, Stribling Private Brokerage, headed by Kirk Henckels. In an email Wednesday night, Henckels said “it’s the end of an era but the wave of the future.” He argued that, “Oddly, the two firms complement each other a lot; a certain style and experience combined with tech. I think it is exciting. And yes, I will stay,” he added. But for other Stribling agents, the change may be jarring; sources speculated some would walk in the coming weeks and months. In the hours after the deal was disclosed, rival firms began reaching out to Stribling’s top agents. In an email to Stribling agents, Compass CEO Robert Reffkin highlighted the firms’ shared focus on supporting agents, saying it laid the groundwork to begin merger talks. “Let me say simply that I am in awe of Stribling and the impeccable reputation you have,” he wrote.